L-R: JMK Solicitors are Northern Ireland’s No. 1 Personal Injury firm for 5th year in a row. Pictured are Maurece Hutchinson, Managing Director, Jonathan McKeown, Chairman and Olivia Meehan, Legal Services Director. 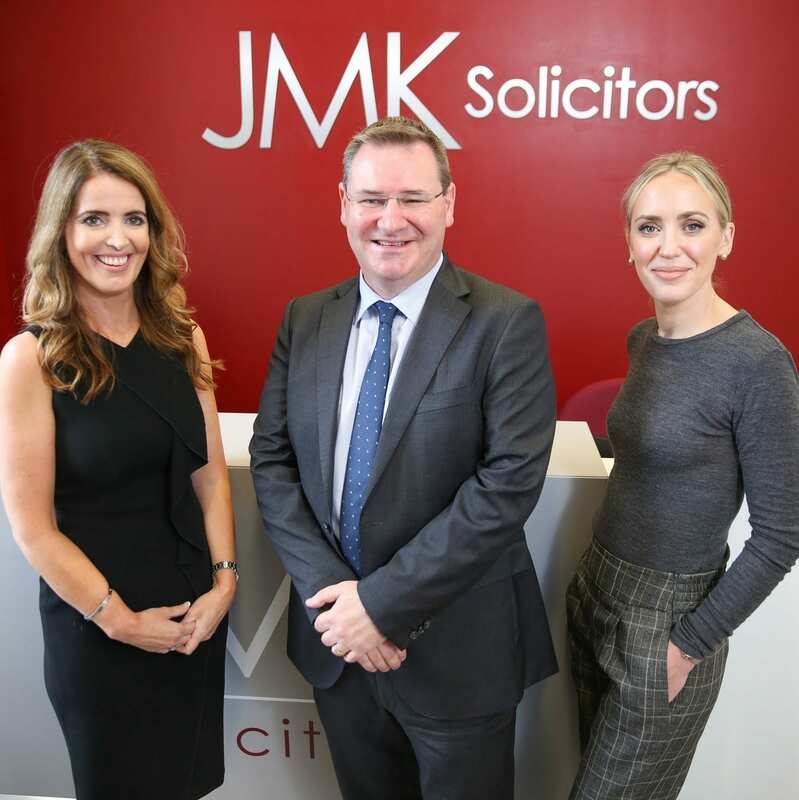 JMK Solicitors have once again retained their No.1 position as the leading personal injury law firm in Northern Ireland for the fifth consecutive year, handling more cases locally than any other legal firm. The Belfast and Newry-based legal firm handled a record 1,544 separate personal injury cases registered in 2018, an 8% growth on the previous year and more than double as many cases as its nearest competitor, according to recent figures obtained from the Compensation Recovery Unit, a division of the Department for Communities. The company credited its continued growth to a programme of investment in staff, technology, brand awareness and exclusive focus on personal injury and road traffic claims. Overall staff numbers have grown to 68, which has more than doubled over the last four years. “We are pleased to have consolidated our position in the local market. We are unique in that we only handle personal injury and road traffic accident claims. This complete focus means our staff have built up significant specialist skills and knowledge in this area of law. We invest a lot in training to ensure we can continue to help every client fully and fairly recover their losses with the least possible stress. We are very proud that 99% our clients would recommend JMK to a friend. In 2017, JMK achieved the Lexcel accreditation, which is a Quality Mark for the legal profession administered by the Law Society and recognises firms which achieve excellence in legal practice management and client care. Established in 2003, JMK Solicitors assist clients from all over Northern Ireland. To contact JMK, please call 028 9032 0222 or visit www.jmksolicitors.com.